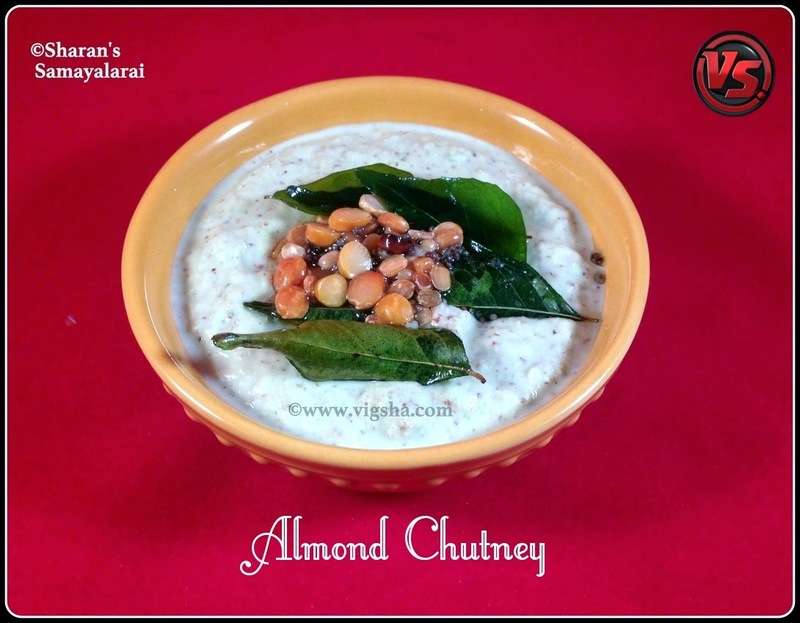 Almond Chutney is a quick alternate from the regular chutney recipes. 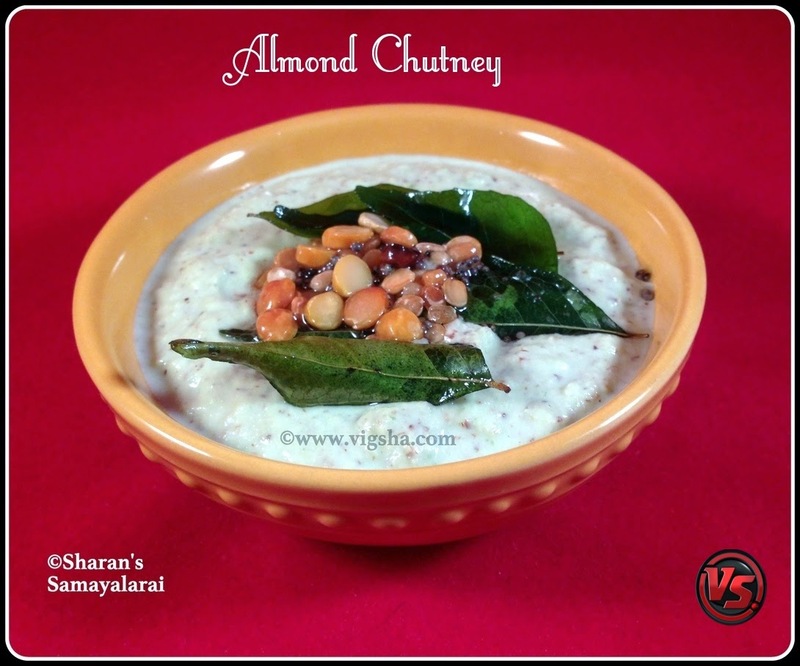 Once you try this chutney, you will prepare it often specially for its taste. It goes well with tiffin varieties like Idli, dosa and paniyaram varieties. Check notes** for more variations of this chutney. 1). Soak almonds* in a 1/2 cup of water for 10 minutes. Then grind the soaked almonds along with the rest of the ingredients & little water to a coarse paste. 2). Heat oil in a seasoning pan, add mustard and let it splutter. Then add urad dal and channa dal, saute till ut turns golden color. Pour this seasoning on top of chutney. Doen ! Serve it with any tiffin variety ! I served it with Aval Dosa. #* I have used almond silvers so I did not soak. Alternatively you can use the whole almonds along with the skin. But don't forget to soak it for 10 minutes before grinding. #** You can also include nuts like cashews and walnuts along with almonds. #** Adding mint or corriander leaves gives variation to this chutney. # You can also add a tsp of grated coconut.